As part of Parentini’s marketing presence in the UK, the company have enlisted a few riders across the country to become UK Test Team riders. 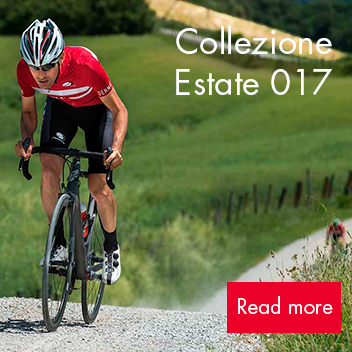 We will be introducing them shortly on this site, but in the meantime, they are already out there, riding and testing the famous red and white kit. Karl Juan Denton is our North East representative. A very experienced rider (and ex 1st category roadman) he sent us this little report of his first outing in his Test Team kit. “I drive a Suzuki Alto more out of necessity than choice these days. It’s an OK enough car I suppose, it does everything I ask of it. It’s cheap to insure and run. I can fit my bike in the back of it and a big travel bag as well. It does all this well but in a mundane uninspiring perfunctory manner. I have never caught myself stealing a glance in a shop window as I drive past. It’s also bloody uncomfortable to spend a night in. What the hell has this got to do with cycle clothing I hear you say (or probably not say). And why were you sleeping in your little car? Well, I will tell you what it has to do with cycle clothing. My Suzuki Alto is everything my Parentini clothing isn’t. i.e. mundane, uninspiring, dull and uncomfortable. I always steal a glance in shop windows when I ride past in my Test Team kit. The reason I found myself spending a night in my car parked in a layby just south of the beautiful Scottish border town of Peebles is that I was performing my first official Parentini Test Team outing, competing in the closed roads Tour of the Borders sportive. I was also showing my naivety when it comes to sportive riding. Unlike road races you can’t just turn up on the morning of the event, sign on and collect your number. No it usually has to be done the day before. This fact I didn’t find out until the day before the event hence the Suzuki becoming my bed for the night. So after managing to grab about four hours sleep curled up in the foetal position on the front passenger seat, I set off into it town around 5.30am. Teeth brushed and oatmeal breakfast in my stomach. Don’t expect lots of technical information in my writing, there will be plenty of that stuff on this site. I prefer to get across my thoughts about how cycling makes me feel and why I do it. This extends to what I wear as well and how that makes me feel. So I’m dressed head to toe in quality made and beautifully fitting red Parentini Test Team Extreme jersey and matching black shorts complete with Test Team socks and mitts. The jersey sitting atop my Parentini mesh base layer. What can I tell you about this clothing? Well the jersey due to its cut and material (especially the one piece seamless shoulder construction) fits like a glove. The brand new ‘hot off the press not available for sale yet’ Tiger 2 shorts feel like a second skin due in part to their heat bonded construction that does away with a lot of stitched seams. I will let other people tell you about Parentini’s exclusive C6 HT pad that is hand stitched into the shorts. Needless to say, this pad performs to a very high standard. The most important thing I can tell you about this Test Team kit is that Peebles High Street has many shop windows. And I rode up and down it several times catching many glances in the windows before I went to the start line to set off with around 2000 other cyclists into the surrounding hills. What can I tell you about the next three and a half hours or so in the surrounding hills? Well, the kit did everything I asked of it and more. No saddle sores due to ill-fitting shorts. No annoying flapping ill-fitting jersey, it performed as well as it looked, which also meant I performed as well. Because, if you look good – you feel good. Oh come on my Alto is the newer sexier version.